Cornwall embraces its proud heritage through 28 illustrated plaques that tell the story of our roots. Each plaque features colourful illustrations of historic scenes from Cornwall’s past. Individually each plaque is impressive, yet together they form a tapestry that weaves throughout the City. The plaques feature the artwork of renowned Cornwall artist Pierre Giroux, whose prowess with the paint brush makes the illustrations come to life. 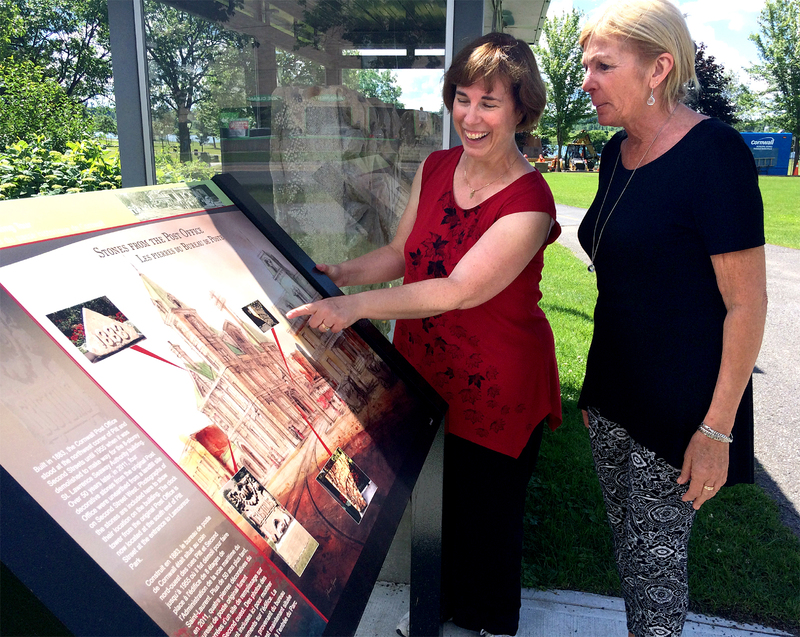 Local historian Lily Worrall completed much of the research that went into the illustrations. The tour begins Lamoureux Park and features three separate walks that can be enjoyed together, or individually. Take a stroll along the Waterfront Walk, visit the historic Downtown Walk, and enjoy the culture of the Le Village Walk. The Cornwall Historic Walking Tour is a partnership between Le Village BIA, Downtown BIA, Heart of the City and the City of Cornwall.